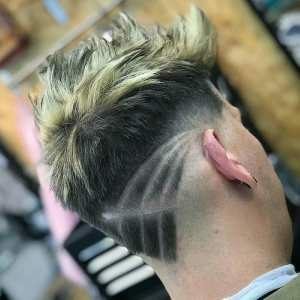 Get The Latest Rockabilly Hairstyles For Men, and All The Fans of 50’s hairstyles Rockstar Bands. 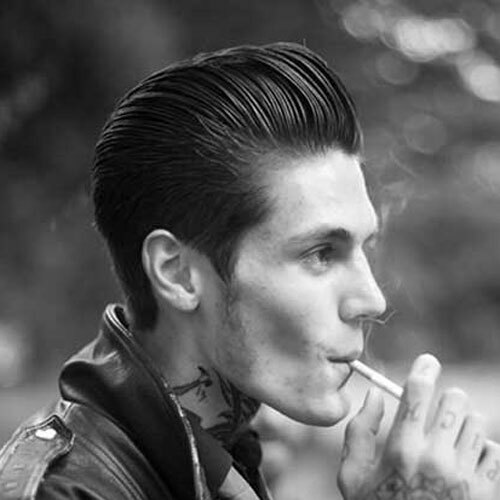 These hairstyles are very popular until now because We Still Love Old Bands and Rock Styles Hairstyles. 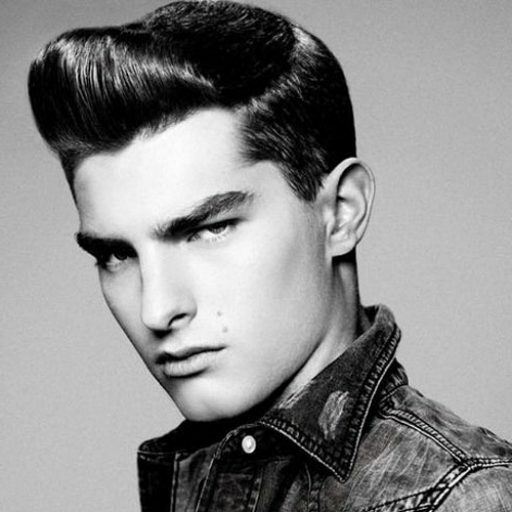 The Rockabilly Undercut and All Hairstyles are looking like the modern pompadour and slick back haircuts. 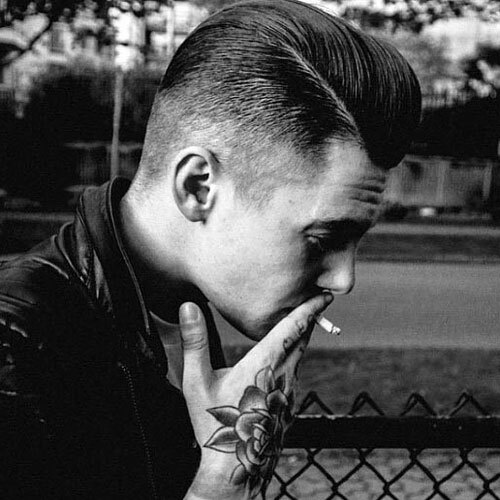 We found those cool Rock & Roll Rockabilly Hairstyles for short hair and long hair. 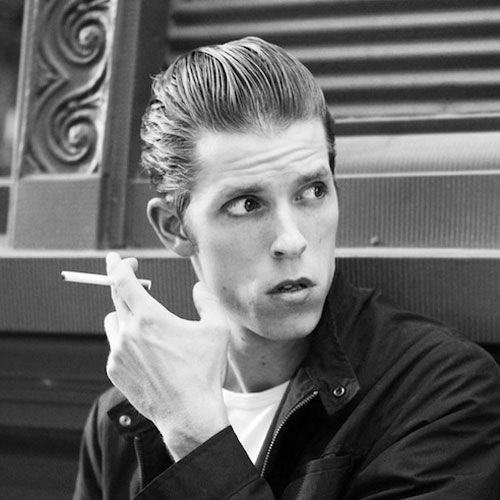 In the 50s to the rock band times, Rockabilly Hairstyles is still popular and very famous. 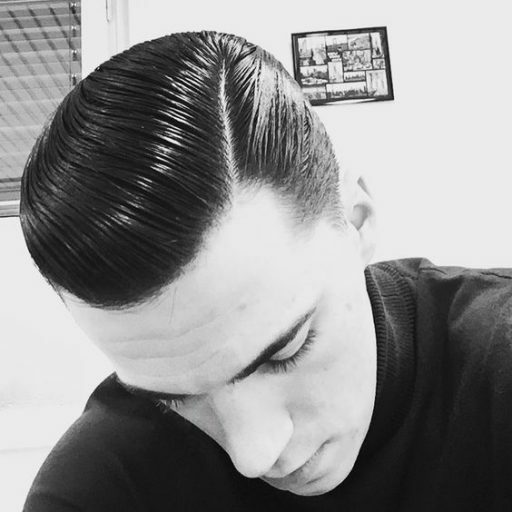 It’s very hard to make an old time, For Rockabilly Hairstyle For Men, We Must Need modern WAX. 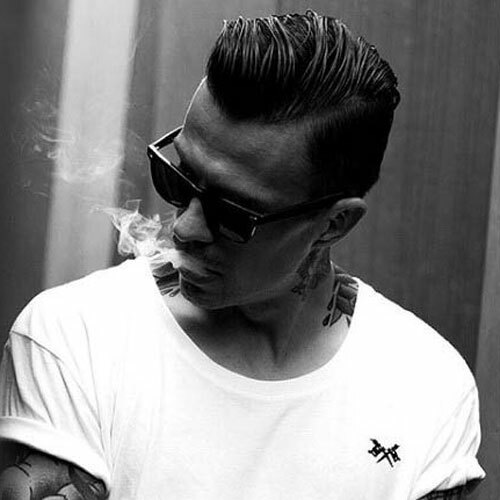 For Pompadour, Hair Stylish Use HARD WAX and other kinds of stuff to make Modern Pompadour. 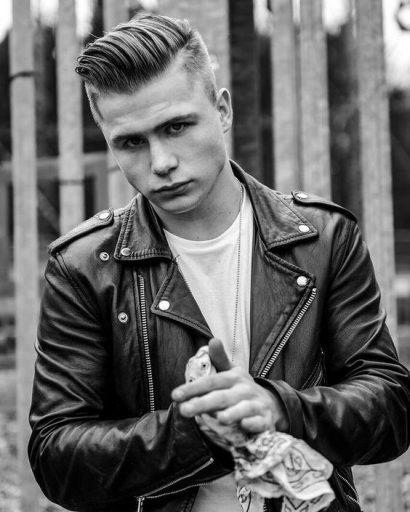 Rockstar Wear Black Leather Jacket and brought cool bikes with Rockabilly Styles. 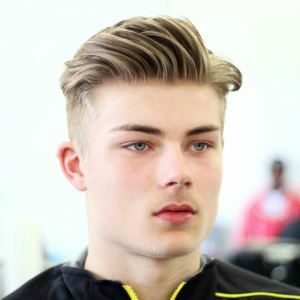 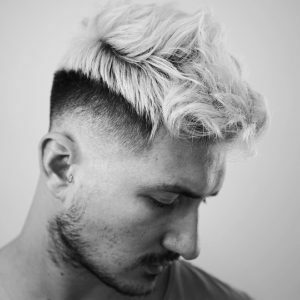 This type of hairstyle is Real Rockabilly Hairstyle and Modern Pomp as we know of these hairstyles, Barbers still try to make this one hairstyle without Wax or other stuff but 50’s times is great leaving in New Orleans and Being Rockabilly Styles is awesome. 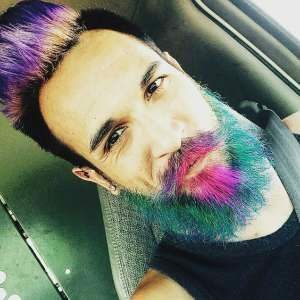 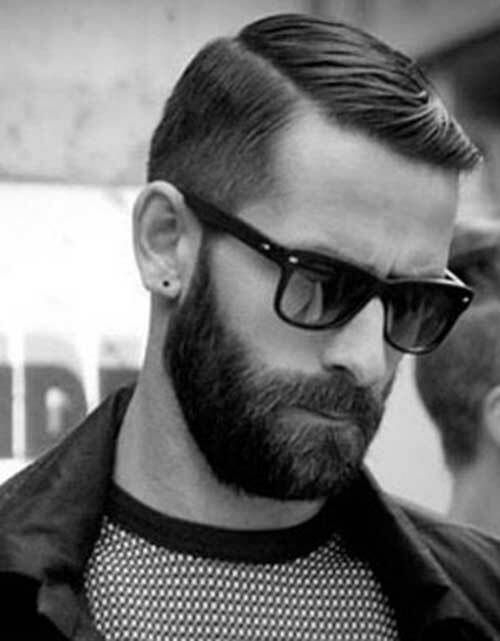 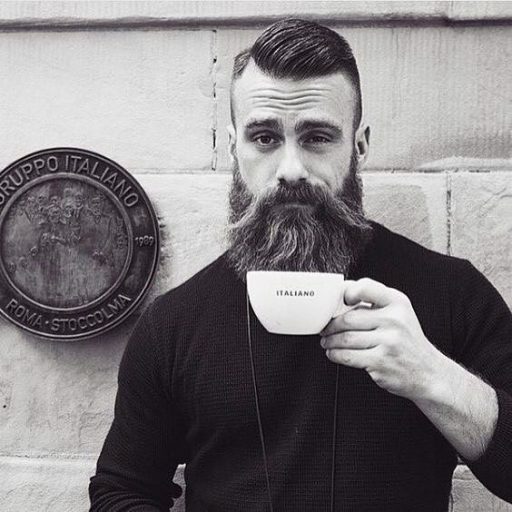 This one is Vintage Pomp + Modern Pomp and beard style with awesome looks. 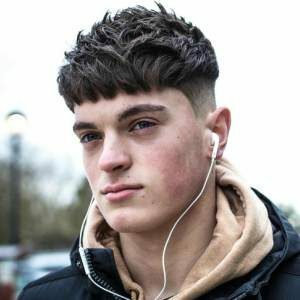 Celebrity love this hairstyle as a simple hairstyle it’s very famous and cool look. 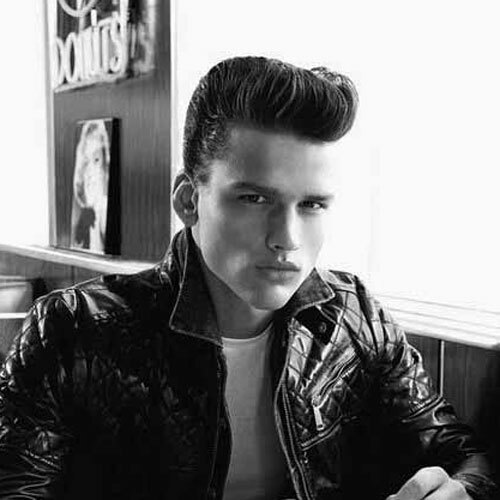 Greaser Hairstyle the Best of Hairstyle same like Rockabilly Hairstyle and Modern Haircut for Men. 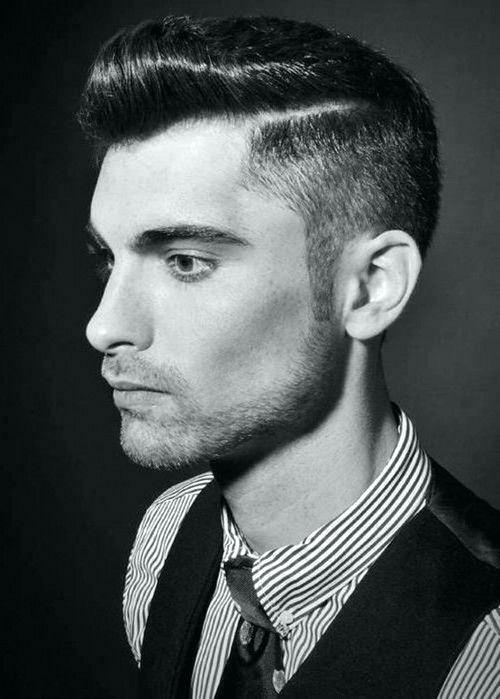 This style is made with a Tall Pompadour Hairstyle and Hard Set pomp. 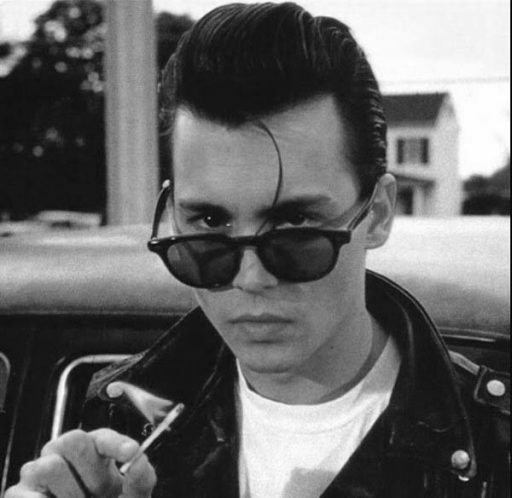 The Real look of a Rock Star with Rockabilly Hairstyle + Rockabilly Jacket and Attractive look of Rock & Roll Times. 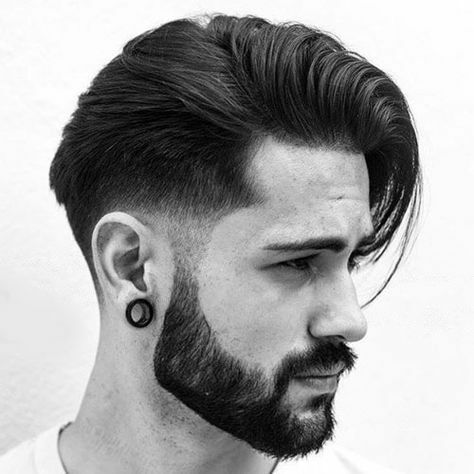 Tips – Rockabilly Hairstyle for men is not cool with a mustache or beard but you can keep a rockabilly hairstyle for short hair with the beard like this model have. 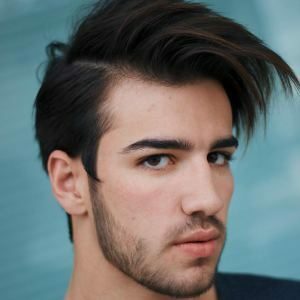 Rockabilly Hairstyle for teens, Oh Yeah! 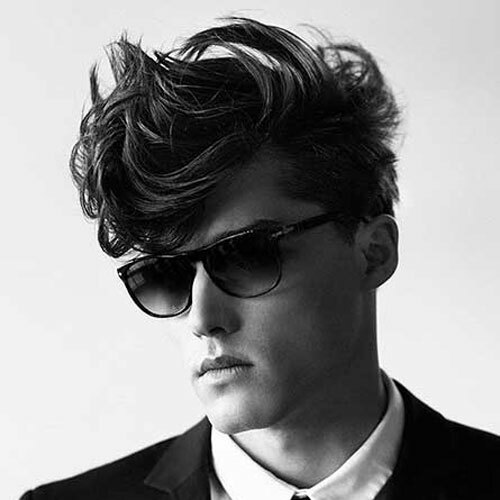 The 50’s no one try the modern pompadour with medium length and messy pompadour, I’m not pretty sure but it looks cool. 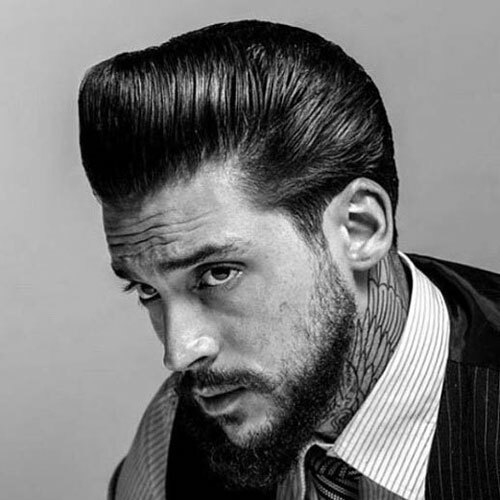 Razor Cut is not compulsory with Rockabilly Hairstyle but if your face cut is long like this model’s face. 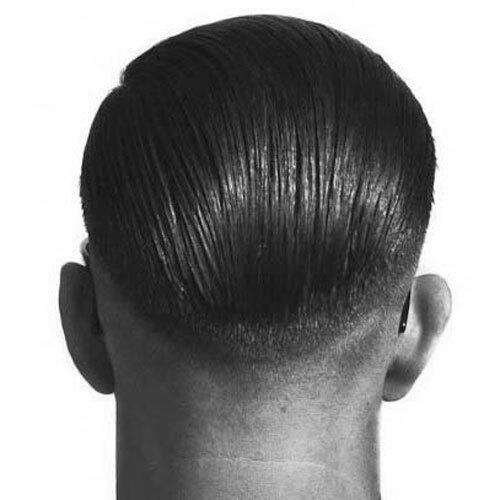 You can keep a razor cut on the shaved part with your pomp haircut to make awesome on you. 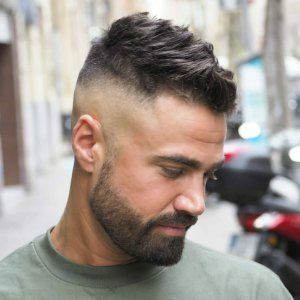 When rockabilly styles are getting old, Men try the new Fade Haircut on the side part with rockabilly hairstyle for short hair. 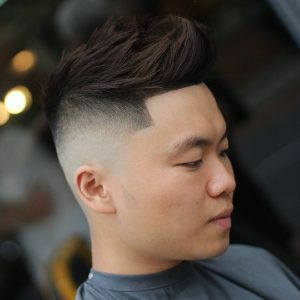 Usually, Fade Haircut with Pomp has types like Skin Fade, Low Fade, Temple Fade, Taper Fade and high Fade side with a razor cut. 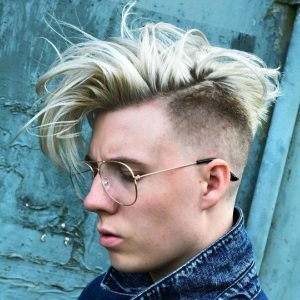 With Long Hair and want to try rockabilly hairstyle, try this one this model is very famous and looks awesome to compare as modern pomp. 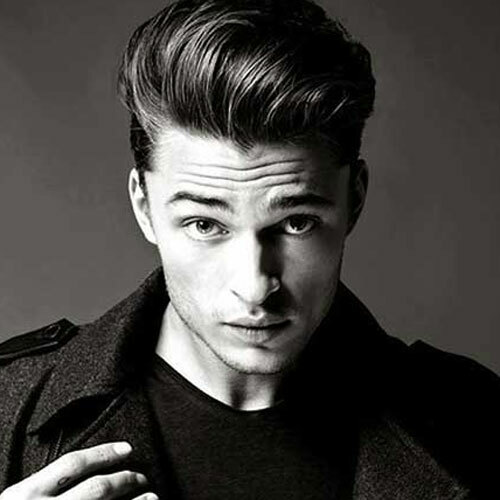 Like this hairstyle, you should keep the same length of your hair. 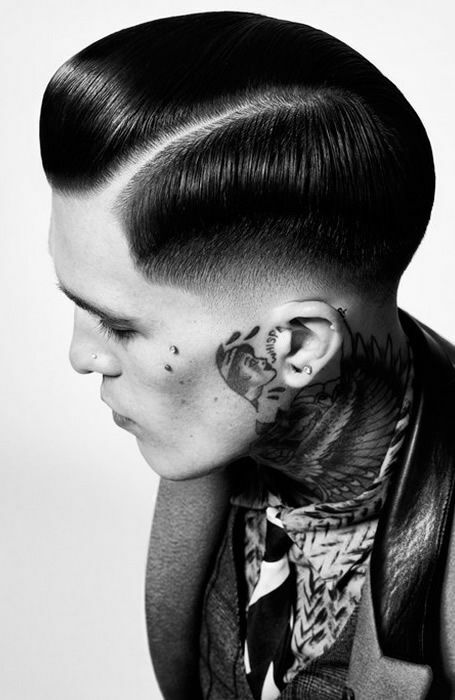 The Guys looks with Rockabilly Hairstyle and The Gangster Look with this hairstyle or Leather Jacket to complete the rockabilly style of old times.